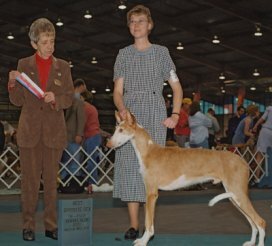 Breeder:S Jane Sherrel & Mary Ann Blair. 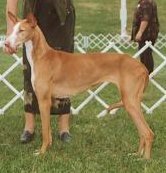 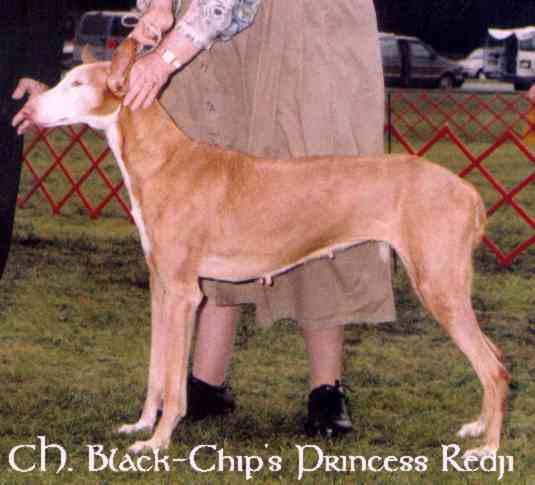 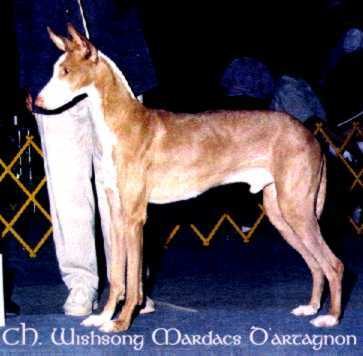 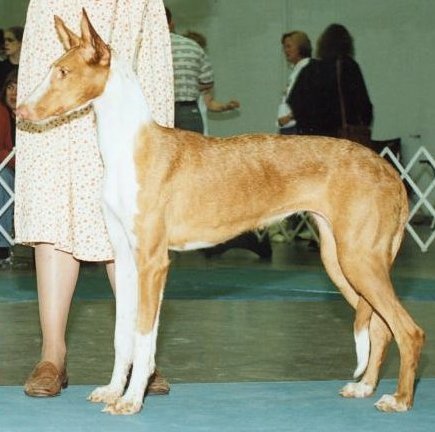 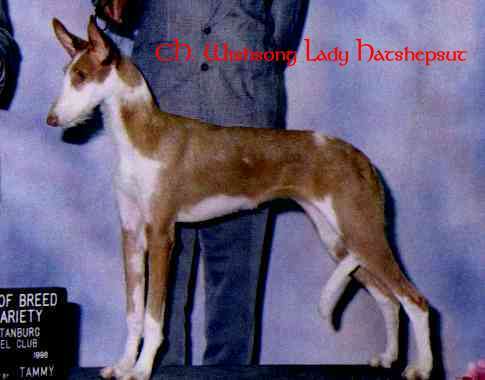 Dam:Ch Blackchip's Princess Red JC. 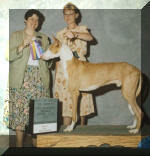 Lilly finished her championship at 10 months old with 3 major wins. 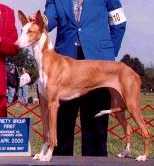 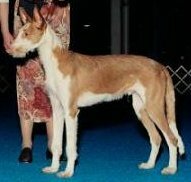 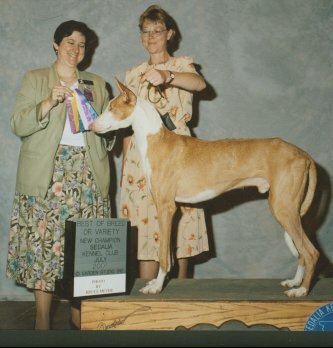 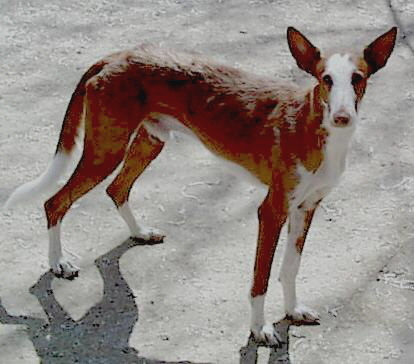 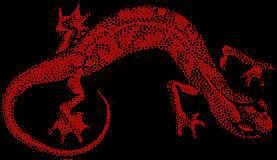 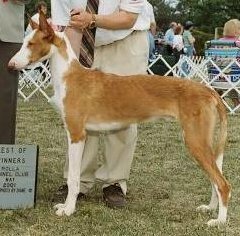 Visit The Ibizan Hound Webring Home Page for info on joining this ring.